The scent of pine spirals toward me and sand crunches underfoot. An intermittent sun splashes light, then retreats, leaving shadows of palm trees across the path. Bees strum the rosy petals of a family-sized bush lounging fragrantly nearby. The way dips, then curves upward and becomes a staircase as the Mediterranean comes into view. The sea air is fresh and the breeze becomes a bluster as I near the promontory. The stunning Marimurtra Botanic Garden at Blanes has given me my southernmost opportunity for a true sense of Catalonia’s “Wild Coast”. The cliffs and coves of the real Costa Brava begin at Blanes, an hour north of Barcelona. 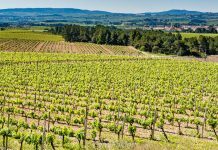 There, one of Europe’s top botanical gardens slopes from the Tower of Saint John down to the Convent of Saint Anna, history and horticulture joined above the blue of the sea. From the garden’s entrance gate, it’s a ten-minute walk or even shorter bus ride back down to the seafront of Blanes, once the ship-building center of Catalonia. Founded by the Romans in the 1st century AD, Blanes has Iberian roots much older than that. For centuries, Catalonia mined coal inland, then exported it by sea, from the port at Blanes. The town still has an active fishing fleet, as well as the region’s only fish auction. The resort’s coastline stretches for four kilometers, most of the sandy bays and rocky coves well served with water sports and other tourist facilities. With a population of almost 40,000 year-rounders, Blanes is a popular and family-friendly beach destination. Many Barcelonians have their weekend- and summer houses here. The town fell on hard times in the early 20th century, especially in the 1930s, when the local population suffered bombing, famine and repression during the Spanish Civil War. With the arrival of tourism in the 1950s, though, Blanes again flourished, becoming a popular international holiday spot. 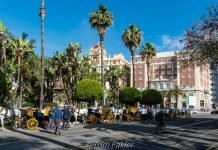 Nowadays, restaurants, ice cream parlors and high rise hotels jostle for attention along with traditional Spanish street markets, fiestas and folk dancing fairs. Sa Palomera Rock divides the bay at Blanes, and geologically, is actually the beginning of the Pyrenees Mountains! 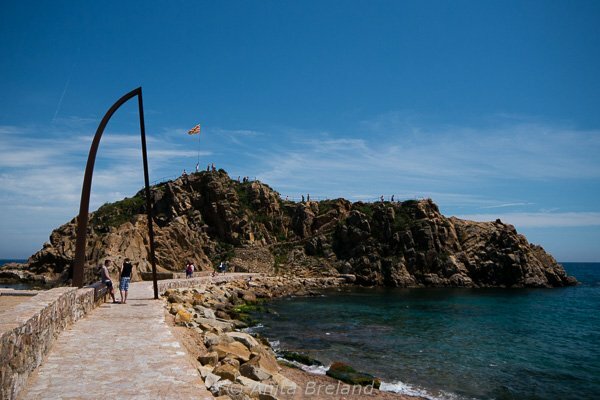 Walk through the sail-shaped arch to Sa Palomera Rock and you are officially in Costa Brava. The view from Sa Palomera toward Blanes and the promontory above the marina. At the highest point, the 16th century tower of St. John is all that remains of a castle built there several centuries earlier. 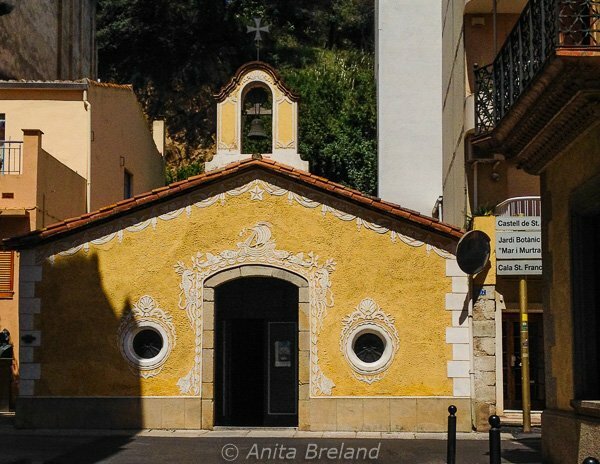 Closer to the sea, lie the chapel and Convent of Santa Anna, patron saint of Blanes–and of working women. From the 17th century, town councilors met in the Chapel of Our Lady of Hope to deliberate on the affairs of the town. Popularly called In Portus, the chapel is faces the sea from its location just outside the original town walls. Its light guided ships to their moorings on the nearby beach. Just one block from the beach, picturesque streets are reminders of the town’s seafaring days. 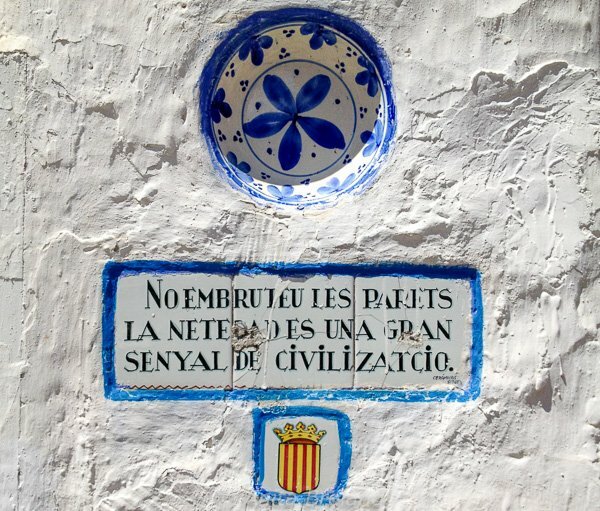 This classy anti-litter sign is on a white-washed building in Blanes’ tidy town center. Pastisseria Orench has offered a variety of traditional sweets and breads for more than 100 years. A top-notch local specialty is Carboneres– balls of deep, richly flavored chocolate shaped like the lumps of coal that used to be loaded onto ships in Blanes. 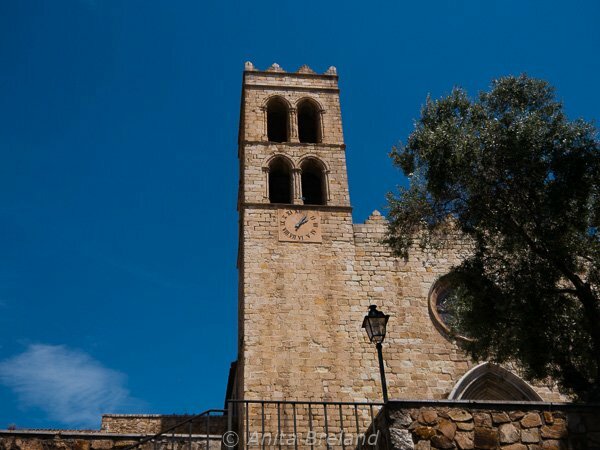 The parish church in Blanes dates from the 14th century. It is one of the many architectural remains of the Reconquista–the Christians’ triumph over the Moors–and was once part of the Old Palace of teh Viscounts of Cabrera of Barcelona. Below the church, a wide staircase once extended to the sea, and was the route followed to deliver coal to export ships waiting below. The staircase is still the scenic route up to the church from the beach. 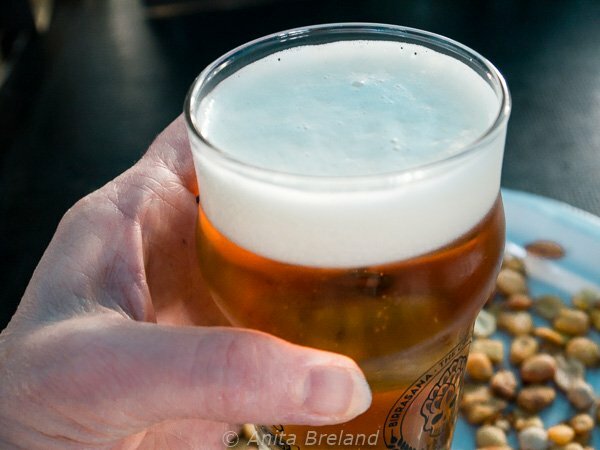 Birrasana is an annual celebration of artisanal beers featuring brewers from Catalonia and around Spain, and this year, a number of guest brewers invited from France, Italy, Germany and Hungary. The 2015 edition of Birrasana was held on a picture-perfect weekend in May, with musical performances and DJs providing a party atmosphere. To accompany the beer, wood oven pizza, grilled meats, sandwiches were on offer, along with a selection of tapas. The founders of Marina, an artisanal brewery, say their beer is “quite hoppy”, and it is certainly popular hereabouts. 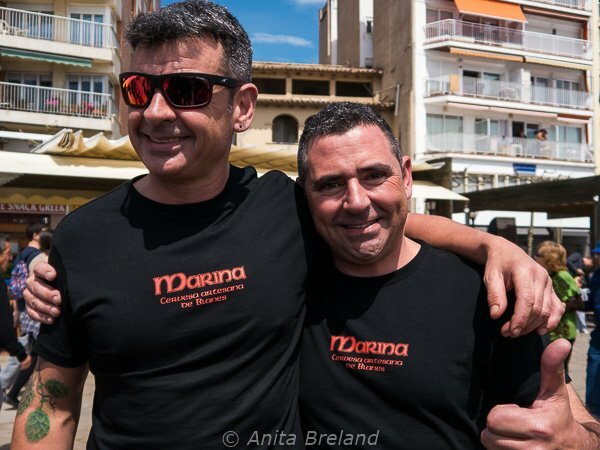 Josep (left) and his brother introduced Birrasana, now in its fifth year. The aim of the festival is to introduce and promote the culture of craft beer, served up with music and good food. On offer at Birrasana: regional, national and international artisanal brews to suit just about every taste. For me, it was Vinya Hop, a fruit ale made of pilsner malt and Galena hops, infused with organic Cava must. I’m not much of a beer fancier, but Vinya Hop is fresh in character, and neither bitter nor sweet. Well-chilled, this glass of beer was a fine thirst-quencher after a mid-day walk along the beach. 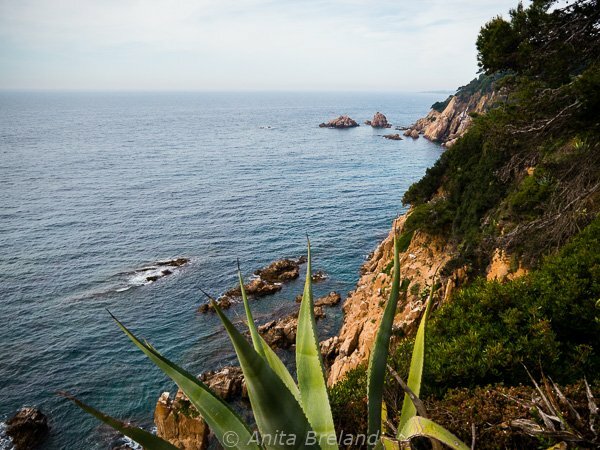 The Marimurtra Botanical Garden offers a view of the Mediterranean from steep cliffs above Blanes marina. Plantings at Marimurtra are divided into three zones with unique themes such as subtropical, temperate and Mediterranean, spread over several hectares. Here, plants from the southwestern deserts of the USA. Marimurta Botanical Garden to the north-east of Blanes was the labor of love of German industrialist Carl Faust. Today, the gardens contain around 3,000 plant species. The Marimurtra Botanical Garden receives more than 100,000 visitors per year. The broad stairway at Marimurtra is lined with cypress trees, selected for their evocation of thought, mysticism and spirituality. The gardens were the work of Carl Faust, a German businessman who made Catalonia his home, and devoted his fortune to building a legacy of botanical research, conservation and education. Sa Forcanera cove, seen from the Marimurtra Botanical Garden, is not accessible by land. You can get there by kayaking or by a long swim and rock walking from Santa Anna beach–neither was an option for me, but I took note! When you live or vacation in Catalonia, you are never far from good food! My own food experience in Blanes was limited to beer-tent tapas and a nip of wonderful chocolate on a stroll around town. However, there are more than 150 restaurants and bars in Blanes, many of them well reviewed on Trip Advisor. 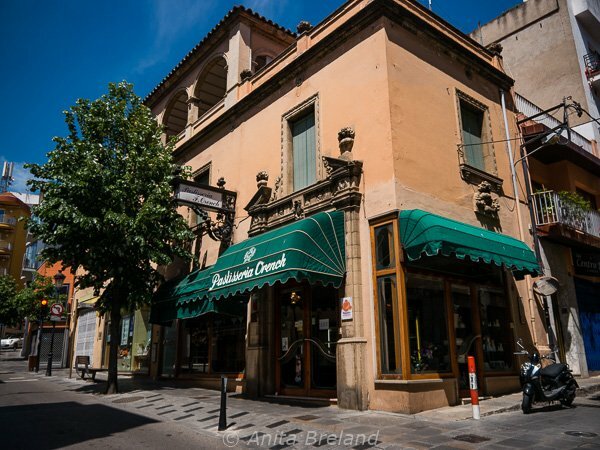 Do you have suggestions for great Catalan food here– especially local specialities such as Blanes prawns, fish stew (Suquet de Peix) and anchovies (Anchoas al Estilo de las Medas)? Please share your recommendations in the comments! If you are short on time, but want to dip into Catalan culture by the sea, family-friendly Blanes makes a fine day trip from Barcelona or Girona. The biggest event of the year is Els Focs de Blanes, held in July, where nights literally explode with pyrotechnic light and color. 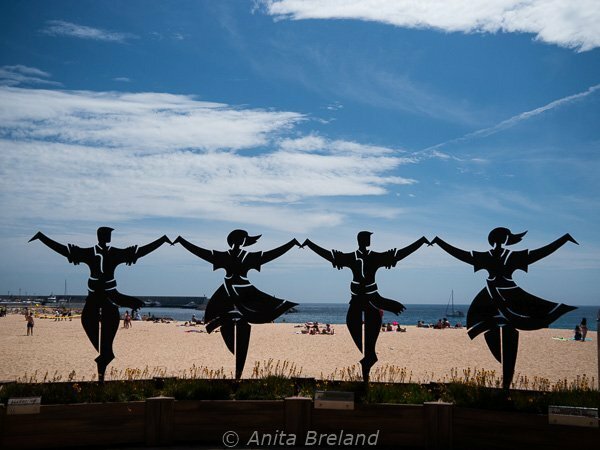 • To find out what’s on in Blanes and get your bearings, take a look at An Insider’s Guide to Blanes. • Blanes is easily accessible, with a number of options available for arrival by train, bus or private vehicle. 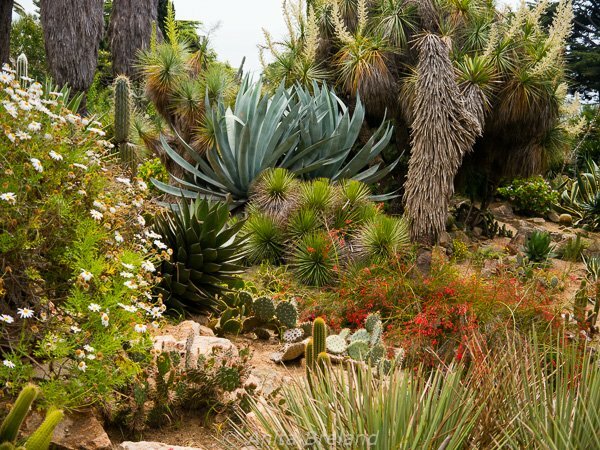 • Be sure to visit one of the botanical collections for which Blanes is known: Marimutra Botanical Garden, or on the outskirts of town, the Pinya Rosa Tropical Garden (home to Europe’s largest collection of living cacti). • Look for restaurants frequented by locals. The area just behind the promenade (Passeig de Dintre) is said to have a number of good ones. • Beer lovers, consider a stop-over for the next Birrasana, the region’s signature beer festival. • To see one of the top fireworks displays in Europe, head to Blanes the third week in July for the Els Focs de Blanes, an international competition that has been running for 46 years. Expect huge crowds! 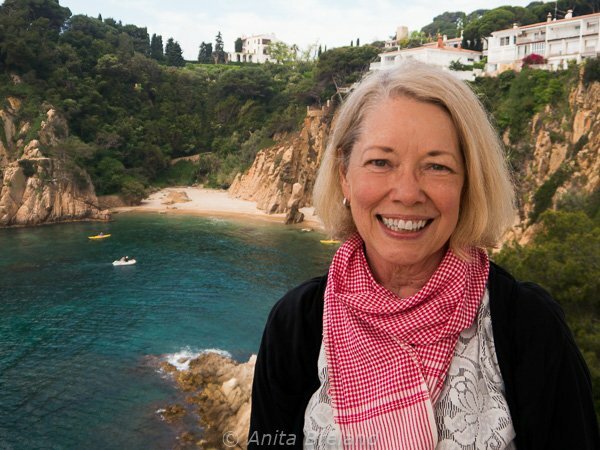 I visited Blanes as a guest of Blanes Turisme. Opinions are my own. 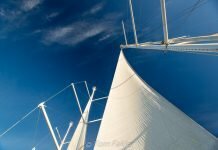 Wonderful photos and informative article about this obviously special town along the Costa Brava, the Wild Coast. Thank you! My sister and I went there to see the fireworks two years ago when they were hosting a national competition. 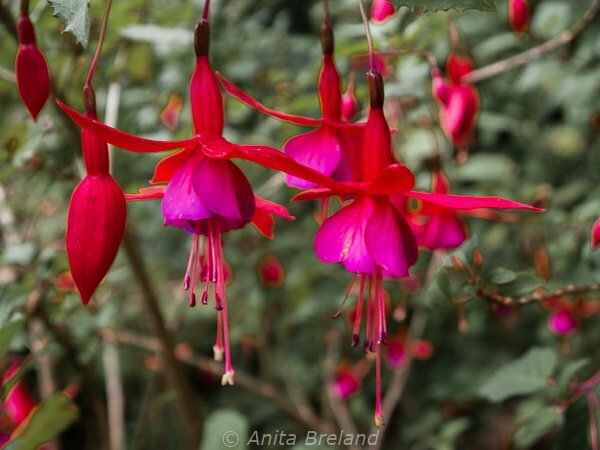 I wish we’d managed to see the Botanical Gardens when we were there – they look wonderful! Although Marimutra would be good to see at any time of year, I was delighted to find them relatively tourist-free in early May. I can imagine the fireworks would be a visit of another kind altogether! Your photos are stunning and you look so happy. Blanes and the Costa Brava agree with you! Wish we had had a chance to visit Blanes. Your description is lyrical and inviting. Thanks Betsy. I think the entire Costa Brava merits a good, long visit! Costa Brava looks so inviting. How fortuitous you were to arrive during the annual beer festival! What fun! This would be a great day trip from Barcelona. 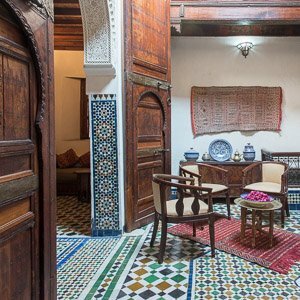 Beautiful location for the Marimurtra Botanical Garden – I would love to go visit. The views are gorgeous! Blanes is the perfect day trip for visitors to Barcelona who are short on time. It’s also the end point for hikers coming from the interior. Either way, the gardens at Marimurtra are worth the visit! I’ve been to Barcelona but didn’t get to Blanes. It looks like an interesting place to add to my next visit’s itinerary. I love visiting botanical gardens when I travel. And what a beautiful natural setting. If you love gardens, Marimutra Botanical Garden is well worth a visit! And if you’re short on time, you’ll still have a glimpse of the beautiful Costa Brava. 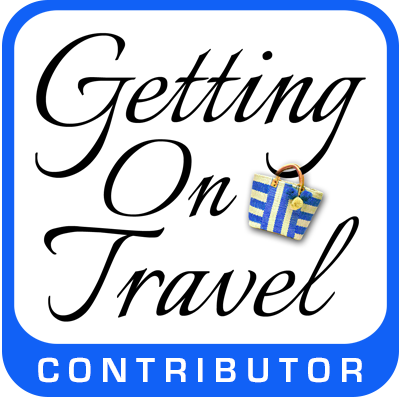 Thanks Noel, the link has been added to your beautiful post on Northern Thailand. 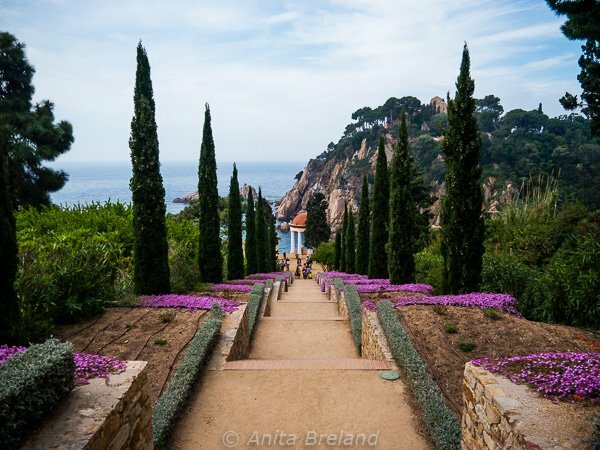 The gardens in Blanes add a little something extra to a landscape that is already compelling and diverse! 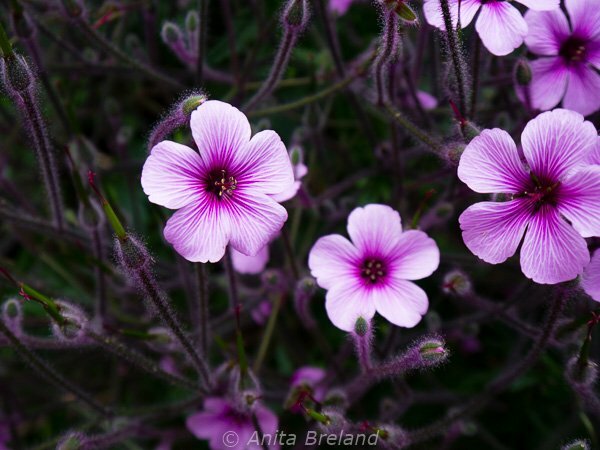 I am in love with your photos of Marimutra Botanical Gardens! And along the coastline makes it especially appealing. Throw in the beerfest and what a time! Thanks for a vivd story of your time along Costa Brava. Just one more worthwhile stop along the gorgeous Costa Brava! Absolutely gorgeous! The water especially looks lovely. Glad you enjoyed the post. I need to return to Costa Brava when I can spend some time ON and IN the water! Those gardens look fabulous. 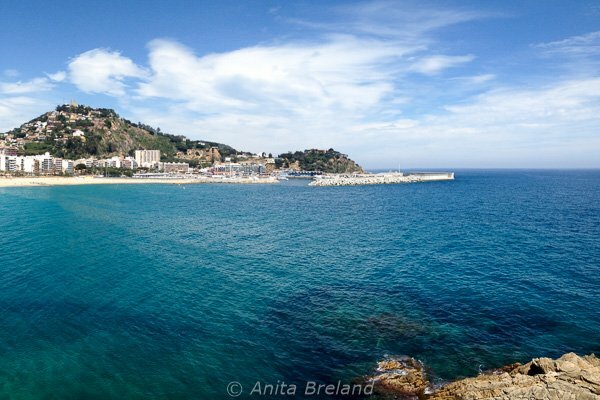 I missed Blanes this time round – I can see that I’ll have to go back to the Costa Brava! Hi Karen, thanks for your comment. The gardens are great, and especially in their wild cliff-side setting. If you like cacti, the Pinya gardens would also be worth a stop. 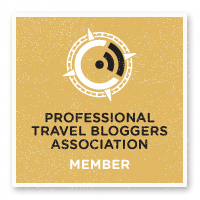 Before TBEX, I hadn’t ventured outside of Barcelona, but it’s clear I need to go spend a whole vacation there! I’d love to visit that cove, and I’m sure there are more like it along that beautiful coastline. Great photos, by the way! Thanks Rachel. I love Catalonia, and as you know, we just experienced the coastal edge of it. So, for both of us, much more to explore!